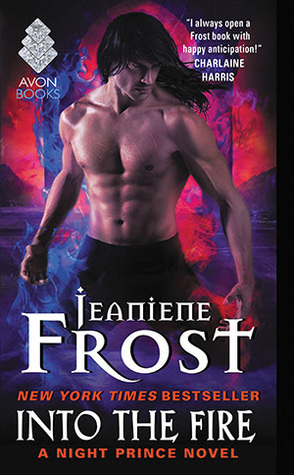 "In the explosive finale to New York Times bestselling author Jeaniene Frost’s Night Prince series, Vlad is in danger of losing his bride to an enemy whose powers might prove greater than the Prince of Vampire’s…. A powerful spell links Leila to the necromancer Mircea. If he suffers or dies, so does she. Magic is forbidden to vampires, so Vlad and Leila enlist an unlikely guide as they search for a way to break the spell. But an ancient enemy lies in wait, capable of turning Vlad and Leila’s closest friends against them…and finally tearing the lovers apart forever." I am obsessed with all things Night Huntress, so of course I am excited for this one. I love Vlad and Leila and I am dying to see how their story wraps up. Into The Fire will be released on October 25, 2016. I haven't read this series yet but this one looks really good. I wonder which of their friends will turn against them. YES! More Vlad!!! Feels like eons since I last read the third book!